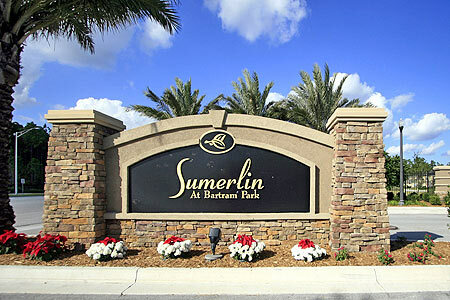 Sumerlin at Bartram Park Townhomes and Terrace Homes in Jacksonville, Florida. Sumerlin at Bartram Park is a new gated resident community conveniently located in Bartram Park near office parks, shopping and schools, with easy access to I-95. 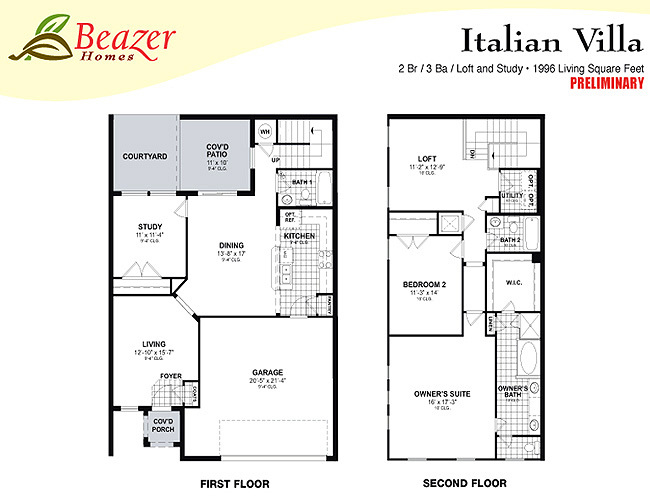 Community amenities include a clubhouse, swimming pool, cabana, conservation and lake views. 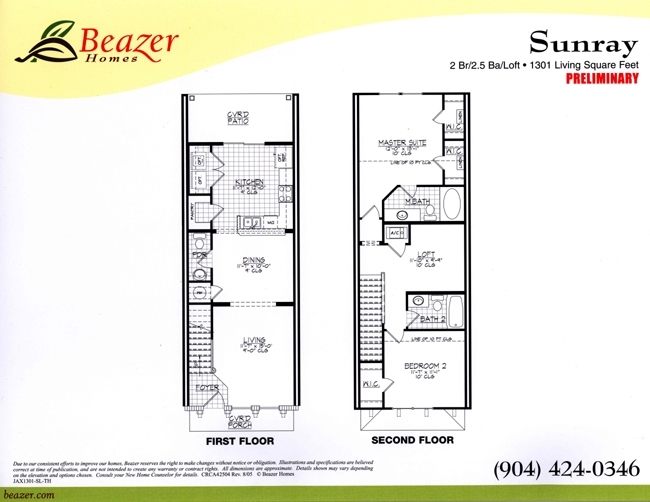 Built by Beazer Homes, Sumerlin at Bartram Park features two distinctive residences: townhomes and terrace homes. 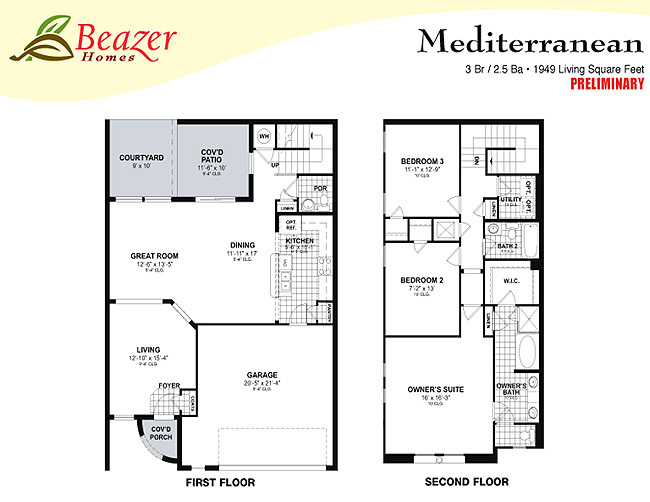 These unique residences showcase elegant interiors, private courtyards, morning terraces, concrete block 1st floor construction, DuraPerm age-resistant materials, EnergyStar rating efficiency, maintenance-free living with state-of-the-art amenities. 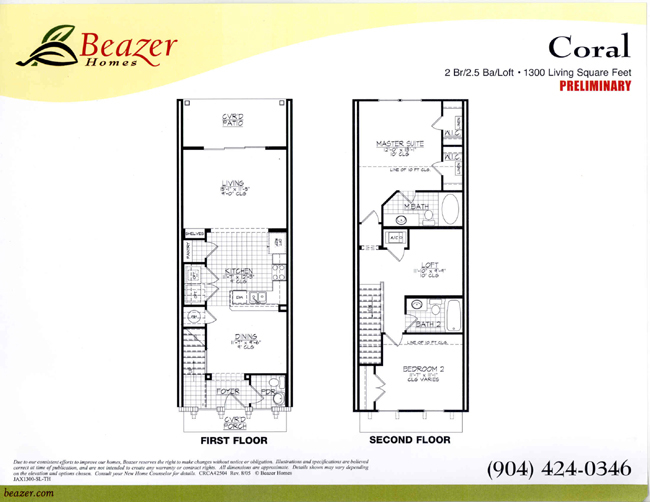 There are two plans for townhome featuring 1,300 square feet, 2 bedrooms, 2.5 baths, flexible loft space, a comfortable interior, covered entry porch and covered private patio. 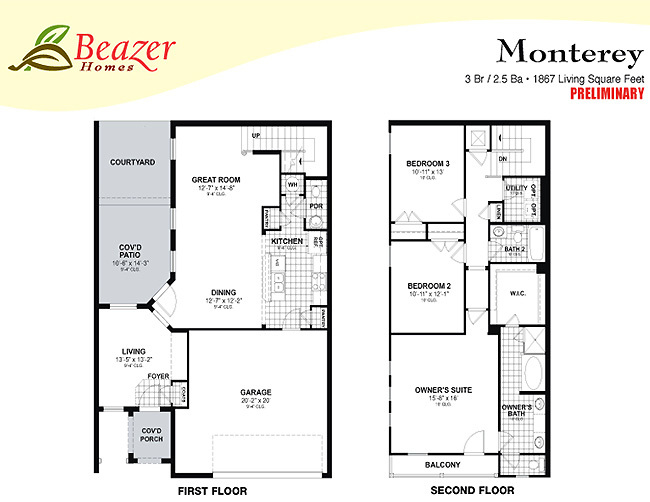 There are four plans for terrace homes featuring 2-3 bedrooms, 2.5-3 bath, 2 car garages, full stucco, 42" upper cabinets, high efficiency GE appliances, solid surface countertops, garden tub, tile paver courtyards and rain gutters.